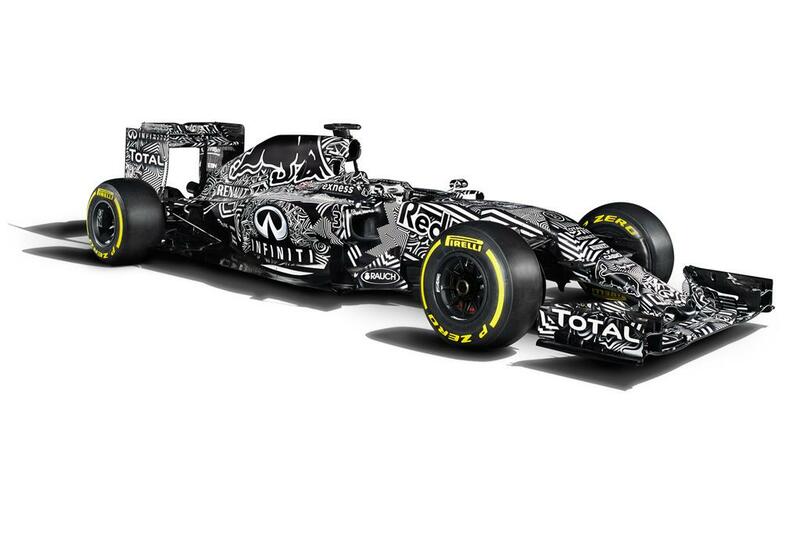 Infiniti Red Bull Racing have unveiled their 2015 car in the Jerez pit-lane on the morning of the first 2015 Formula One pre-season test. Rather than their usual livery that has been , Red Bull have chosen to run a special ‘camouflaged’ testing livery, traditionally used to hide the finer details of new production and racing cars. Red Bull are not expected to keep the black and white livery for the upcoming season and they should return to a more familiar livery at some point before they fly out to Melbourne in mid-March. Red Bull’s chief engineering officer Rob Marshal states that although the exterior of the car seems fairly similar to the RB10 of last year, many changes have been implemented internally He also believes that the team can make significant gains on the reigning champions of Mercedes. Red Bull are out on track today at the first day of pre-season testing at the Jerez circuit in Spain. They are joined by the rest of the fellow competitors with the exception of Force India. Daniel Ricciardo, the only man other than a Mercedes driver to have won a race last year, is in the cockpit of the RB11 and will hand over the car to his new team-mate Daniil Kvyat tomorrow.